"Home automation" involves the centralized control of lighting, HVAC (heating, ventilation and air conditioning) and music to provide improved convenience, comfort, energy efficiency and security (Wikipedia's definition paraphrased). We are certified to install Nest Thermostats and Nest Protect Smoke + CO Alarms, Lutron RadioRA 2 total home control systems and SONOS music systems, all of which can be centrally controlled from your mobile device such as phone or tablet. Energy saving thermostat that learns your schedule. Built-in WiFi so you can adjust heating or cooling from your phone or tablet even while you're away from home. Rather than just beeping at you, the Nest Protect Smoke & CO detector tells you what & where the problem is & sends a message to your phone in case you're away. Read more about Nest or contact us with specific questions. Do you have switches all over the house that drive you crazy remembering which switch does what? 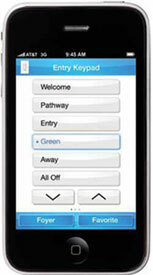 Consolidate by installing a keypad and setup scenes. Control your lighting from a portable device (i.e. 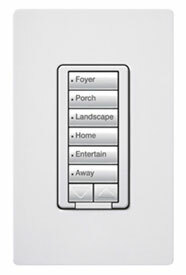 phone or tablet), visor control in your car, or wall-mount keypad in your home. Setup indoor/outdoor lighting on a timer system or vacation mode for security. 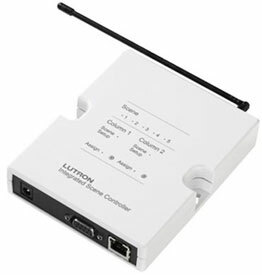 Read more about the benefits of Lutron RadioRA 2 or contact us with your specific questions. A wireless music system controlled from your iPhone, iPad or Android. Listen to music in any room of your house. Listen to different music in any room. Can be as simple as a single speaker, or extend to cover your entire house. Access to AM/FM radio, Pandora, Spotify, Mog, Songza, iTunes, SiriusXM Radio, sports and more. Visit the Sonos website or contact us to find out more. Hard-wire network jacks throughout home. Add wireless access points to increase Wi-Fi signal throughout home. Protect your home and sensitive electronics with surge protection. Install and protect your entire electrical panel. Double your protection and connect directly to electronic equipment. Protect TV, phones, well pump and more. Simple 110v circuit for charging station. Double your charging time by installing 240v circuit. Dimmers that are CFL and LED compatible. Generators - No more throwing away food, costly hotel bills, or worrying about pipes freezing. © 2019 Pidala Electric Inc.